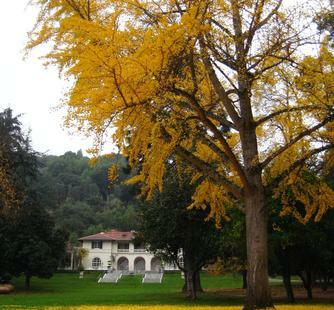 The blog will be silent over the next two weeks as I unplug, unwind, and dig into my writing as an artist fellow at Montalvo Arts Center as part of the Lucas Artist Residency Program. I will live and write there and take part in the community of working artists from a variety of disciplines. Not to despair for lack of poetry! What a great time to peruse the Favorite Poem posts here from the past year, and perhaps get inspired to read a full collection. One collection I’ll be reading (yes, reading is essential to writing) is former US Poet Laureate Billy Collins’ Poetry 180. It’s an anthology, or collection, of contemporary poetry he developed during his tenure as laureate. An anthology is a good way to discover your next favorite poem or poet. Maybe you’ll be inspired to write your own. In the meantime, happy summering! I’ll be posting our last Favorites later in June. Sally, enjoy. Being in residence is an unforgettable experience. Let me know which residence you’re in. The best of times is a chance to look over what you’ve written, what other poets have to say, and what new poems come. Time is such a luxury. Wishing you a well deserved writing retreat, Sally. You are an inspiring Poet Laureate.